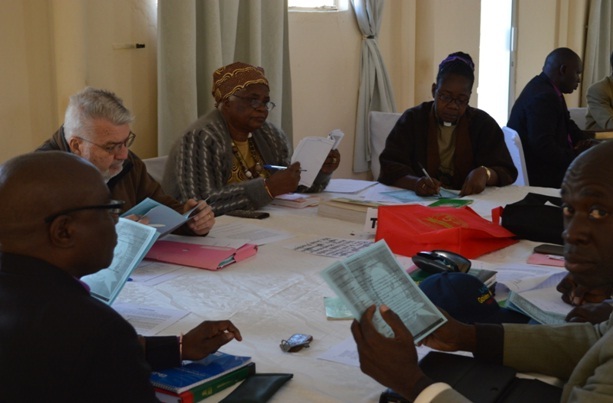 KABWE: Under the theme “Seeking the Church Transformed through Prudent Stewardship” the United Church of Zambia met with its international partners involved with UCZ Projects for a two-day Conference on 17th and 18th July at the Diakonia Centre in Kabwe. 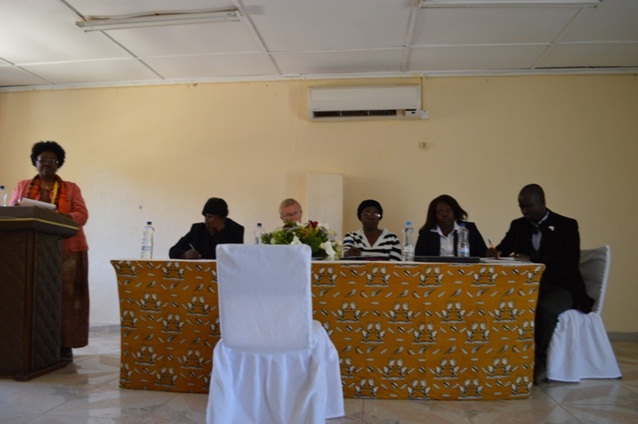 This was a follow-up to a previous meeting held in July 2011 and was a mid-term review of the Strategic Plan as part of the mutual commitment of walking together. It was an opportunity for presentation, dialogue, feedback and reflection. 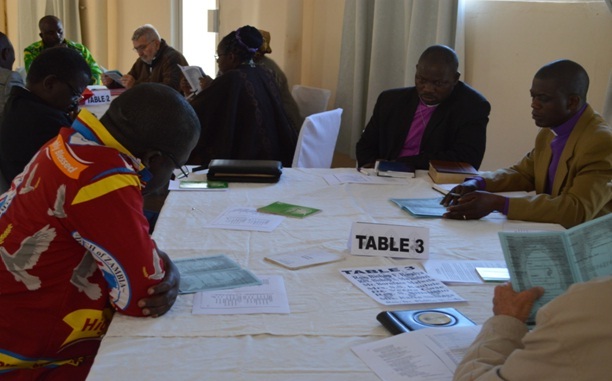 Participants included representatives from the Geneva Church, Church of Scotland, United Reformed Church, US Board of Trustees, World Renew, Gossner Mission and Council for World Mission. 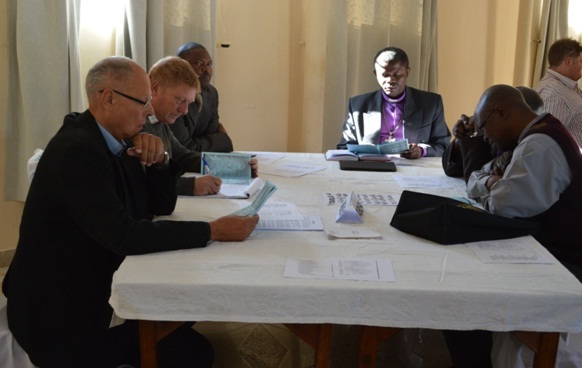 Representing the UCZ were the Synod Executive and Heads of Departments and Institutions with the Presbytery Bishops, also attending were representatives from the Trustees, Strategic Plan Technical, Golden Jubilee, Synod Complex Construction, World Partnership and Fundraising Committees. After worship and a devotion led by Rev S Silishebo, reminding the participants of their blessings and the meaning of Jubilee, the meeting opened with a welcome by the Synod Bishop Rev Mutale Mulumbwa followed by an address by the General Secretary, Rev Dr Peggy Mulambya Kabonde, to the delegates who were mixed and seated around 6 different tables. 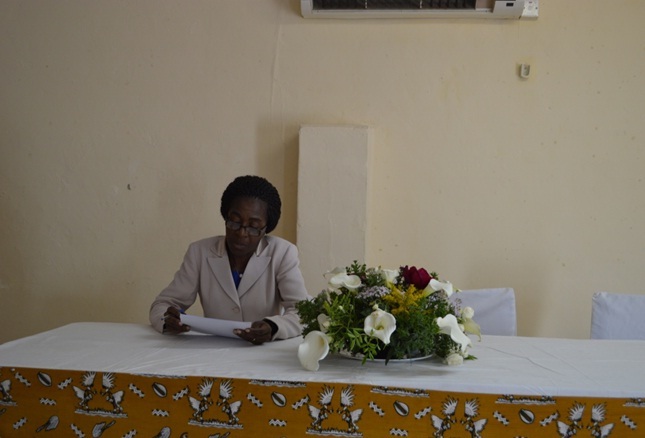 The meeting was ably moderated by Ms Omega Bula and the first plenary session opened with a panel presentation on the Context for Mission. 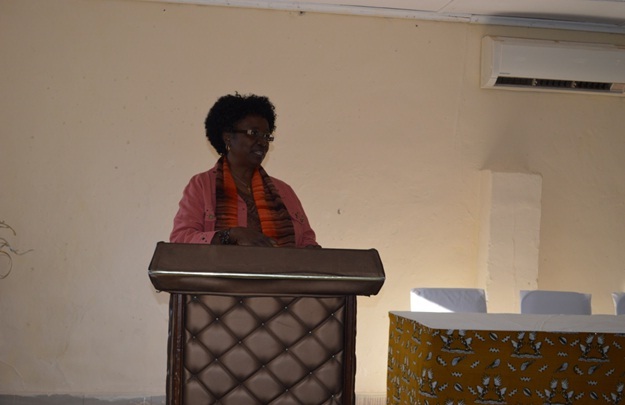 Rev Mary Mpingu spoke on the impact of poverty on rural ministry and the Church’s response to poverty alleviation through Skill Centres and Microfinance. Despite the challenges there were successes. She was followed by Mrs Yeta who from a woman’s perspective shared their vision for the Church. She noted that there were no female Bishops at the moment in the UCZ and there was still an obvious lack of female representation in other Church leadership positions. Foreign ownership of land and the inability of women to be given land in their own right was a matter of concern. 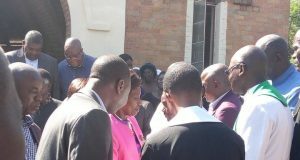 Malnourishment, unsafe drinking water, HIV/AIDS, gender-based violence, poor employment opportunities were all factors affecting women that the Church could help with. Friday Nkhoma talked about the challenges and opportunities for Youth and Young Adult Ministries. It was a confused time of generational culture clashes, ICTs versus writing or preaching v Facebook. 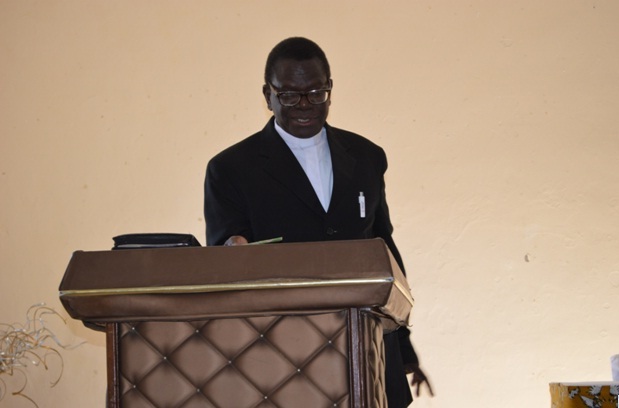 In the Church many youth were attracted more by charismatic Pentecostalism, other areas of concern for young people were HIV/AIDS, GBV, lack of educational opportunities, early marriages, teen-pregnancies and chronic poverty. He suggested a refocusing of resources to Youth Ministry to reconcile, mentor and disciple the young so they too may be equipped and sent out. After each session there was a time to question and reflect on what the participants had heard and to consider what God was saying to the particpants. 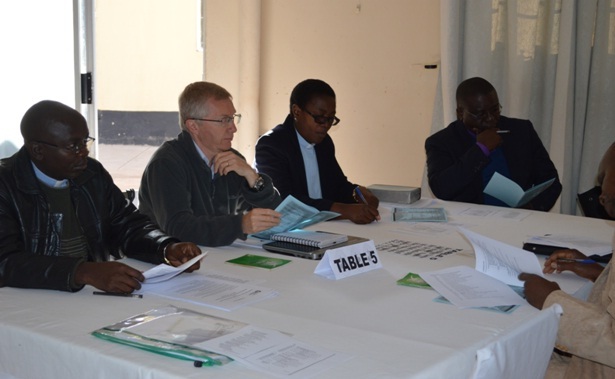 After lunch the participants heard from Dr Alex Simwanza and Mr Ngande Mwanajiti who highlighted the progress being made with the implementation of the Strategic Plan. The meeting was highly gratified to see signs of greater financial stability through debt reduction and increased income. The restructuring had also led to greater managerial and organizational effectiveness. This would be further reinforced with the advent of missional congregations. This should also lead to more meaningful participation and greater accountability with better communication so that it was not just top-down but also bottom-up so that the grassroots had the opportunity to feedback. Better utilization of church land was another priority and advocating for and speaking out on social justice issues. After supper to end the first day the participants joined with Music Ministry Kabwe for a time of praise and worship, from the Busokololo Church Choir at All Saints Congregation who had recently produced an excellent DVD called Samaria. On Friday morning the articipants again started with praise and prayer. 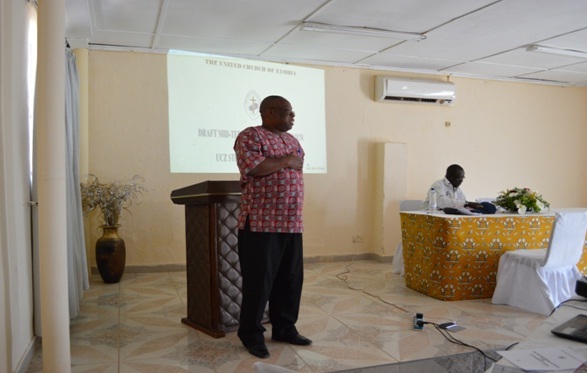 The first session was a financial analysis of the Church over the same period, highlighting salient features and was presented by Mr I Kangwa Financial Secretary and Mr C Katongo the Internal Auditor. It explained the accounting and budgetary control systems now in operation and undertook a financial performance analysis looking at income and expenditure, assets and liabilities, ending with investments and cash flow projections. This led to a discussion concerning ethical investment and a recommendation that the UCZ only invest in tax-compliant and socially-responsible companies. The next stage discussed the Key Action Points that arose from the reports and presentations. Wolfgang Pfeiffer spoke on behalf of the Gossner Mission explaining the history of their link with the UCZ and their emphasis on Community Development and Social Justice and focusing on self-help and agriculture to improve living standards and promote poverty alleviation amongst the poor and vulnerable. The final session linked this all to the Golden Jubilee. 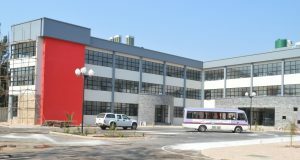 It was proposed that there will be events starting on 15th January 2015 with Seminars and an exhibition at the Mulunguishi Government Complex. On the 16th January there will be a Service at Mindolo commemorating the 1965 Union Service and using the same Order of Service. The climax to these events will be a national celebration at the National Heroes Stadium held on 18th January. International partners and their representatives would be most welcome to be part of this programme. 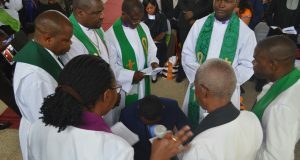 The closing worship included Holy Communion. It was a useful time together, learning in what practical ways the UCZ is being transformed by prudent stewardship – a journey on which the church is travelling and an on-going process.